Custom Art Framing and Gallery 9 is hosting a gallery opening for Don Weller on Friday night October 30th from 6 - 8pm (Tonight!). 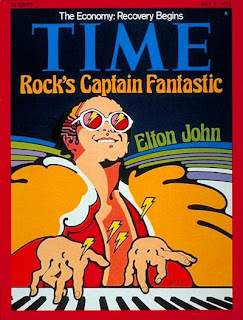 I have a copy of this magazine from 1975 framed in my kitchen. Blast from the '70s! Don is a celebrated illustrator, art director, graphic designer and cowboy. He spent years as an art teacher for Colleges and Universities in California, Arizona, Utah, Texas, and Washington State. Over the years, he has done covers for TV Guide, Time Magazine, posters for the Hollywood Bowl, the 1984 LA Olympics, and the NFL to name a few. Currently he raises Cutting Horses in his ranch high up in the mountains in Oakley, Utah, while continuing to produce amazing artwork. His style has changed over the years, but there is always something familiar in his artwork that tells you it is his. 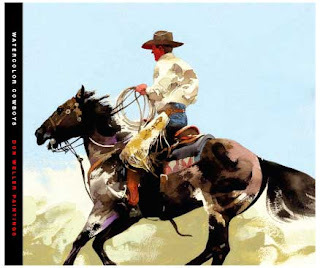 Don recently published his newest book of western inspired watercolors titled Watercolor Cowboys . I am very close to this artist, he is my father. If you are around the Norwood area on Friday, October 30th, please stop by and have a glass of wine with us.